Home>Our expertise>Marketing>Is a degree better than work experience? Deciding which route to take after college or A Levels is one of the most important decisions of a person’s life. There will be many factors to consider like whether university is the best route for you or should you start work straight away to gain work experience? Alternatively, should you do an apprenticeship/internship instead of a degree? With the price of university courses rising each year, there has been further debate surrounding the overall value and benefits of a degree relative to the cost. When looking for junior candidates, employees will often ask for a candidate with a degree and some experience, some even specify that it must be from a ‘top university’. Whilst someone from a top university, such as The University of Oxford will have gained superb grades, it does question whether academics are more than or just as important as work experience. I have been working at Michael Page for two years and have seen the market shift significantly during this time. When I first started in my role, there was a huge focus on the university a candidate had studied at and the degree they had attained. However, now we are increasingly interested in the experience a candidate has in addition to their degree. 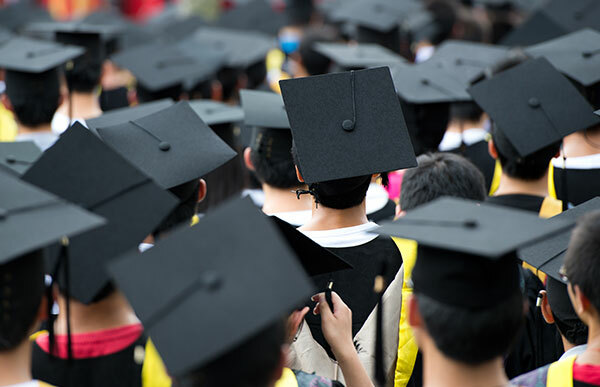 According to UCAS, the benefits of having a degree are that it makes a person more employable and research shows it usually means people earn more throughout their lifetime than they would have done without their degree. For those who aren’t sure of the career path they would like to pursue, degrees provide flexibility for opportunities after graduation and significantly increase job prospects. The UCAS has also found that ‘two-thirds of employers look for graduates with relevant work experience because it helps them prepare for work and develop general business awareness.’ This highlights that both a degree and experience are essential for setting people up in the workplace. There are also other routes to achieve this, however, such as apprenticeships and internships where individuals can gain qualifications and experience at the same time. The price for most universities in England is £9, 250 per year, plus extra costs of living. Student Finance helps UK and EU students to pay for university fees via a Tuition Fee Loan. This is only paid back after studying and when you start earning a certain amount each month. You could view this cost as an extra income tax on top of your earnings rather than a large debt because when you go to take out credit it’s not something you have to declare. Should more employers offer apprenticeships? Currently, an undergraduate degree is still seen as a premium qualification when compared to an apprenticeship. The government needs to educate the workforce and the media to change this. Some students aren’t suited for university, but still choose to do further study as they aren’t sure about what route to go down. With better guidance for those finishing A Levels/College, students should be more aware of what options they do have. More apprenticeship schemes and alternate options for students to build their skill set should be offered and these opportunities should be made widely available. In April of this year, the new Apprenticeship Levy was introduced to encourage businesses to invest in the training and development of apprentices. In such a candidate-driven market, there is a talent time lag of three to four years while new candidates complete their degree. If businesses were willing to set aside time for training and invested into apprenticeships rather than waiting for this talent to complete an undergraduate degree, the market would have almost immediate access to a workforce ready and eager to learn on the job. Internships are also an excellent way for employers to train new talent. If employers provide short internships they can train and assess whether an individual is suited for a longer-term career in the business. On the flip side, a candidate can also use this opportunity to see if the business and type of role is the right route to achieve their career goals. The debate around whether people should get a degree or go into an apprenticeship will probably come down to what they are studying and if it’s essential for their career progression. When studying a marketing degree, students will always need some hands-on experience to put the theories they’ve studied into practice. This can be done through an internship or working in an apprenticeship if there is a structure in place. If you would like any further information or to discuss how we can help with your recruitment needs, get in touch today.